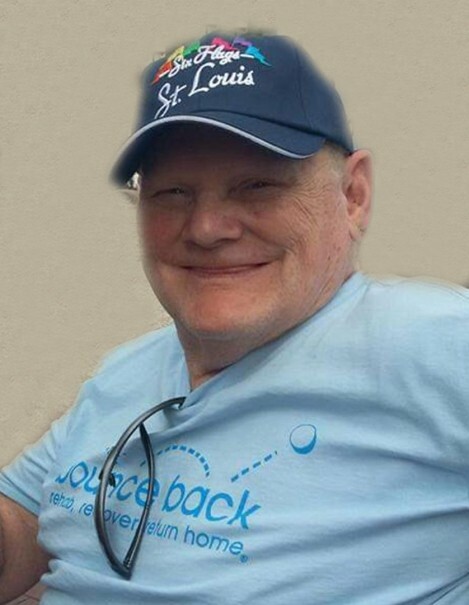 JERSEYVILLE - William Dale Hewlett, 75, died Wednesday, February 6, 2019 at Des Peres Hospital in St Louis, MO. He was born on July 4, 1943 in Alton to the late William Joseph and Geneva (Miller) Hewlett. William grew up in Jersey and Greene County and graduated with the class of 1961 from Litchfield High School. After graduation, he enlisted with the United States Army, serving our country honorably in the Vietnam War. He married the former Linda O'Neal on October 6, 1981 in Alton and together they have shared in 37 years of marriage. William worked for many years as a Custodian at Lewis and Clark Community College in Godfrey and after his retirement began his own lawn service company, serving many homeowners and businesses throughout Jersey County. He enjoyed fishing and following football as well as the WWE. He was a true family man and enjoyed spending time with all of his family, most especially his grandchildren. William's outgoing personality gained him many friends throughout his life, he truly had the gift of gab and never met a stranger. Surviving are his wife, Linda Hewlett of Panama; a daughter and son in-law, Becky and Danny Jr. Waters of Panama; two grandchildren, Scott Hewett, and his wife Kaylee of Greenville and Elizabeth Madison of Panama; three great-grandchildren, Jessie, Nicole and Skarlett Hewlett; a sister and brother in-law, Judy and Sam Woodring of Medora; as well as numerous in-laws, nieces and nephews. He was preceded in death by his father, William Hewlett and his mother, Geneva Scott; a sister, Mary Esther Maltimore; a brother in-law, Patrick O'Neal; as well as a sister in-law, Peggy Board. Visitation will be from 2 p.m. until time of funeral services at 4 p.m., Wednesday at the Crawford Funeral Home in Jerseyville with Rev. Clyde Shaw officiating and military honors being conducted by the Jerseyville American Legion Post #492 Honor Guard. Private interment will take place at the Jefferson Barracks National Cemetery in St. Louis. In lieu of flowers or plants, memorials may be given to the family, in care of the funeral home.